If what we want to do is listen and organize our music, it isn't necessary to have an application that includes thousands of features and options, that we will normally use only once or twice. A simple user friendly interface with very few options can actually save a lot of time, that is the general idea that the developers of Winyl had in mind. 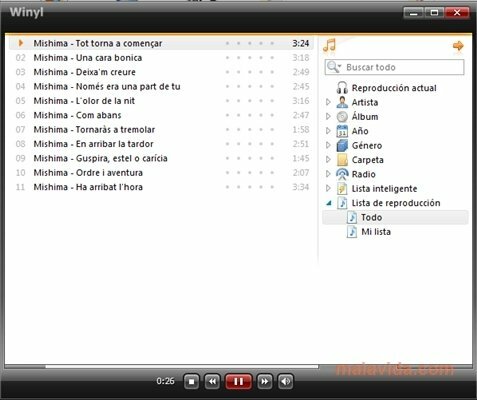 Listen to music while you organize all the audio media on your computer, with an easy-to-use media library that will allow you to score each track, and organize the music by author, style, group or year. The application also includes a radio broadcast search engine and an equalizer with several preselected options to improve the audio output. As a small addition, Winyl allows the user to customize the interface by using Skins, and it actually includes several skins in the basic download. 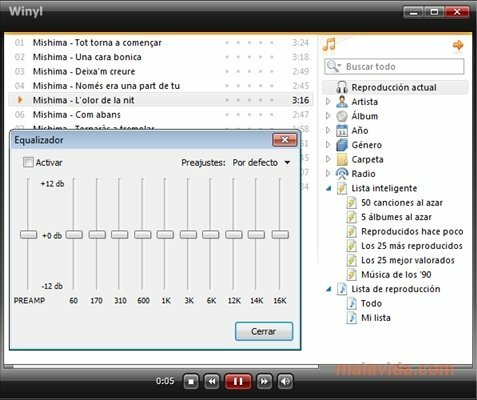 All in all, if you want an audio player that will meet anyone's expectations, without affecting your computer's performance, download Winyl now.